I wrote this awash in nostalgia. It might as well be written by a student of the discipline of marketing, and for all I know the story carries so much gravity it could easily turn into a case-study one day. I hope it does! I like it when Indian stories take that route. For almost all of us, some of the enduring memories of childhood relate to the time we spent with our loved ones while eating out. Those memories, vivid in detail, flash through the mind several times in later parts of our lives. These are pleasant memories, happy moments that stay with us forever. It is rare for service providers and manufacturers to last beyond a certain age. Usually companies come and go. That's the rule. Very few stay. Either the concept gets worn out, or the promoters may lose interest for a variety of reasons. India has its share of successful food brands. Amul is the foremost and the poster-perfect example of one such success-story. What makes Amul special is that it's not some high-sounding corporate that created it, but a cooperative federation. It's a sterling example of a truly unique experiment that was managed to near perfection. Not just the philosophy behind it, but also the commercial side was taken care of very nicely. 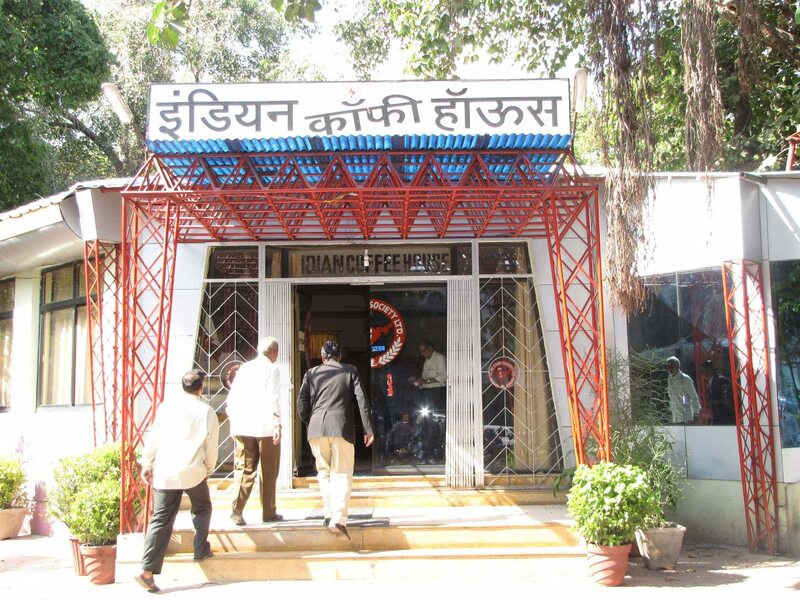 One more brand that has stood the test of time is the Indian Coffee House , or ICH. The name is a misnomer as they serve a full range of meals and food-items. And very tasty & healthy stuff really! 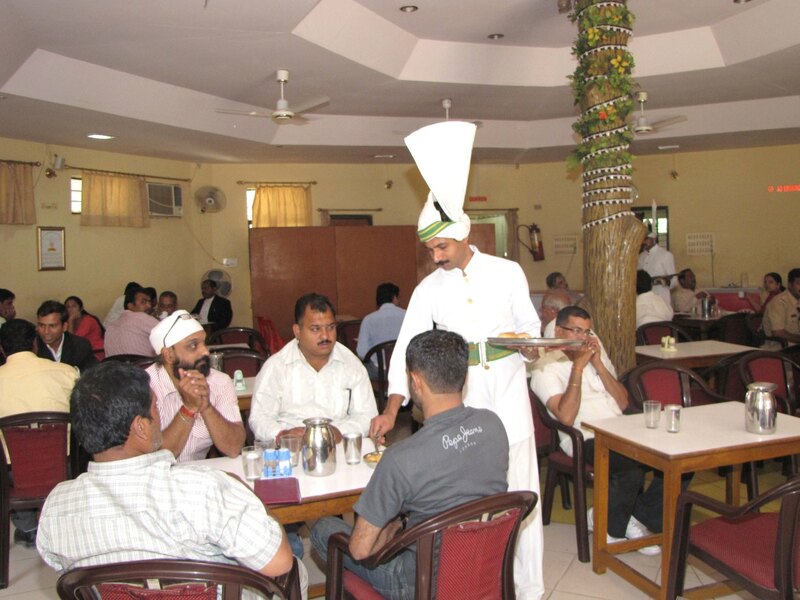 The Indian Coffee House is run by a series of worker co-operative societies . 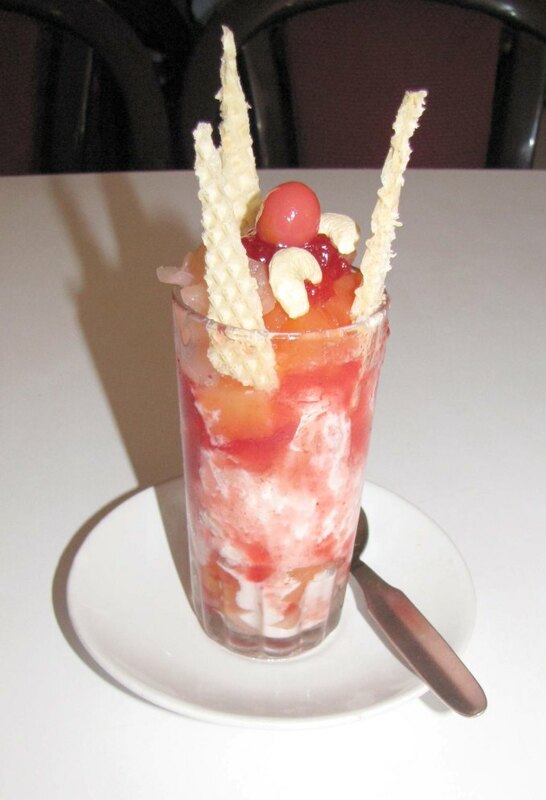 It has a strong presence with hundreds of restaurants across India, but largely in South India. I really like the idea as it is a commercially successful venture run by worker co-operative societies. This is as close as you can get to a healthy blend of socialism and capitalism. Like many of those in my generation, I have been visiting the ICH since my childhood. I distinctly remember how my brother and I could not control our laughter when we would see the (usually) tall Malayali waiters wearing those unique headgear that made them look even taller! We found it very funny. I remember how we would always ask for extra 'chutney' and 'sambhar' and how delicious the extra bowl always tasted. I cannot forget the verrry long 'sada dosas' - crisp, crunchy and falling out of the plate, that was always shared between the two of us! I distinctly remember the stern-faced floor-managers who would prepare the bills at the front desk, and we would always try to save on the tip! Those 1 and 2 rupee coins meant so much then. *Today I realise that the headgear was one of the branding symbols. An enduring one. *Today I can sense that the taste of that chutney and sambhar was their secret recipe. *Today I can understand that the stern faced South-Indian manager was their operational masterstroke. *Today I can relate to their operating principle of low-cost and quick turnover. Even today, the Indian Coffee House remains as strong a brand as ever. I do not see a lot of trendy young people visit the outlet in my hometown, perhaps because the aggressive marketing and image of the CCDs, Barista s and McDonald's creates a mental barrier. Don't make that mistake young guys and girls! Go to the ICH once, and try the stuff they serve. You will not only like the taste, but also the earthy and no-frills ambience, the rates, and the sheer Indian-ness of the place. They serve a full range of foods. But some of the stuff they offer is very must-have kind. 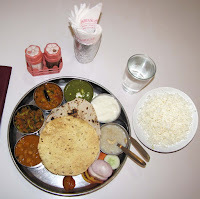 You will not believe that the mini-meal pictured here costs just Rs 60! It's as hearty a meal as Mom could make. And at only Rs 60, it's a steal. Sure there are other bhojanalayas in each Indian city that do serve meals for as low as 30 or 40 bucks apiece but what I like here is the hygiene and the taste. Bet you will not remain hungry after finishing the 3 vegetables (in good sized bowls), Daal, Dahi, Sweet-dish, plate full of rice, basic salad and Rotis/Pappadum. And of course, there is the trademark Filter Kapi (south Indian filter coffee!) that's perhaps better than most you will taste anywhere else. The item is so distinct in its appeal that the name ICH sounds justified. So, can you afford to miss these? Let me now wind up before I sound like an official marketing agent for the ICH. Ha ha! If only the ICH management can deliver some contemporary marketing messages to young people, there can be a strong growth through word-of-mouth as the product is excellent. Shorn of all frills of modern restaurant management, and yet fast, clean and tasty, ICH represents a unique old-age concept that can survive despite the unrelenting flood of modernism that seems to flatten everything in its wake. Long live Indian food brands. Long live ICH! You are very true, their head gears were the main attraction apart from the large sized paper dosas for almost all children . We still visit the place & feel excited to see the same eager expressions on my daughter’s face having similar querries we had for our parents . The Main USP of ICH is that you get the same taste across the ICH network... be it Idli, Dosa, Omelette, Egg Curry etc etc. From Pune to Raipur, from Gwalior to Indore wherever there is an ICH, you get the same taste. The wonder is that this has been achieved by an Indian Cooperative! A true success story indeed! A further point is that the interiors are identical, as is the uniform, the taste, the seating, the quality... in short, all the parameters that go to making up a uniformity in the product offerring. As regards the clientelle, while the Macs and the CCDs have given some competition, there is a difference in positioning. Given the rates at CCD, and the lack of variety at Mac, these are actually outlets that are visited occasionally - whereas the ICH enjoys regular visits from its clientelle. Himanshu Joshi - ICH has created a niche for itself.Its Brand Equity has remained undiluted all through. It was an excellent write up Sir and now , I guess, ICH will be a case study soon. Vishal Kale - "The Main USP of ICH is that you get the same taste across the ICH network... The wonder is that this has been achieved by an Indian Cooperative! A true success story indeed! A further point is that the interiors are identical, as is the uniform, the taste, the seating, the quality... in short, all the parameters that go to making up a uniformity in the product offerring. As regards the clientelle, while the Macs and the CCDs have given some competition, there is a difference in positioning. Given the rates at CCD, and the lack of variety at Mac, these are actually outlets that are visited occasionally - whereas the ICH enjoys regular visits from its clientelle." i can feel your sense of emotional attachment sir and i really appreciate ICH as good place for good and hygenic food. i have been visiting ICH for last 5 years and i found same taste everywhere, same quality, good hygene level and always very cheap in price as compared to others. yougnsters don't visit ICH because of the fashion era, but who visit ICH always like to go there. Dear Sir, Good morning. I really enjoyed reading this post.I surely visit ICH in Pune. Good to read yourb blog after long time.Enjoy !!! Sir, it's an awesomely written blog about Amul and ICH both. But what truely enticed me were those pictures and the prices alongwith them. It really is VALUE FOR MONEY in all aspects. Also the way you qoute your blogs is completely outstanding and deeply touching. I can always connect myself with them in someway or the other.